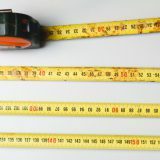 Your team is new to estimating Agile Scrum Story Size. You planned for your first release as discussed in Why Your Scrum Team Needs a Release Plan. Your Product Owner wrote Stories that meet the criteria described in Write Better Stories and Why Every Story should have Acceptance Criteria. You have candidate Stories for your first Sprint Backlog. You are ready for your first Story Grooming Session. Review Stories for clarity, to ensure everyone understands the requirement. Assign a relative Size to each Story, so your team can begin tracking Velocity. Your team should be able to decide whether or not the Story makes sense. However, deciding relative Story Size often causes consternation for new teams. Most teams are happy to move away from estimating work in hours. But, when you are new to the concept of relative sizing, it’s hard to know where to start. Some are taught to use tee shirt sizing: Small, Medium, Large and Extra Large. But, that doesn’t quite help assign a numbered-size, does it? Many are taught to assign Story Points based on the Fibonacci Sequence: 1, 2, 3, 5, 8, 13, 21 … We are taught that each number in the sequence represents twice the level of effort as the previous number. But, that doesn’t really help either. In Agile Scrum, we learn that accepted Stories must be validated as ready to move to Production. Therefore, the level of effort for each Story must take into account the complete development lifecycle, from design to spec to code to code review to quality assurance testing. At GSD Mindset, we teach newbies to initially size Stories using the Fibonacci Sequence based on their gut feel for the level of effort required to complete development lifecycle aspect of each Story. Size the Story based on the effort it takes for 1 Developer and Tester to complete it. If a story is larger than 8 Story Points, divide it into multiple Stories. We do not recommend bringing a Story larger than 8 Story Points into your two-week Sprint. Use an easy method for group estimating like Planning Poker to reach consensus. When discussing individual estimates, always question extreme high and low estimates. We all know that some requirements are quick to code, but complicated to test. If the team has trouble deciding, error on the side of caution, especially for your first Sprint. How Many Story Points for Your First Sprint? If our initial sizing method dictates that it takes a Developer and Tester an entire two-week Sprint to complete an 8-Point Story, we recommend the team bring in 8 Story Points per Developer. For example, if the team has 1 Tech Lead (who doesn’t code), 4 Developers, 2 Quality Assurance Testers and 1 Business Systems Analyst, bring in 32 Story Points. After one or two Sprints, review the accuracy of your Story sizes (you’ll only be right half the time) and use the Stories the team feels accurately represent a 1, 2, 3, 5 and 8 as examples during Story Grooming going forward. And please, please, please don’t estimate in hours. I’d be interested to learn how your team got started. My teams have been using this method to size stories using a tool called Osteka. As a Scrum Master, this has been an effect way to get them started and especially helpful to newbies. The scrum teams become very cohesive in sizing stories, much faster than with other methods I have tried in the past. Thanks for sharing Linda. I’ll check it out.